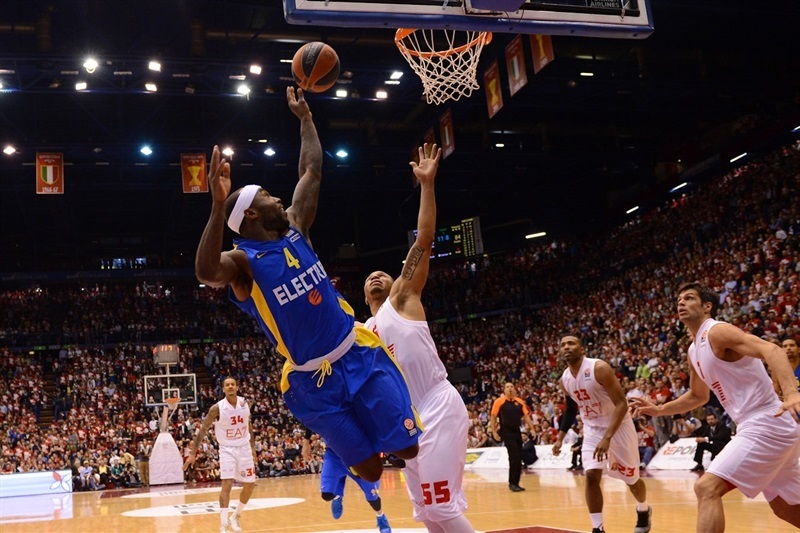 Maccabi comeback stuns Milan 99-101 in overtime! 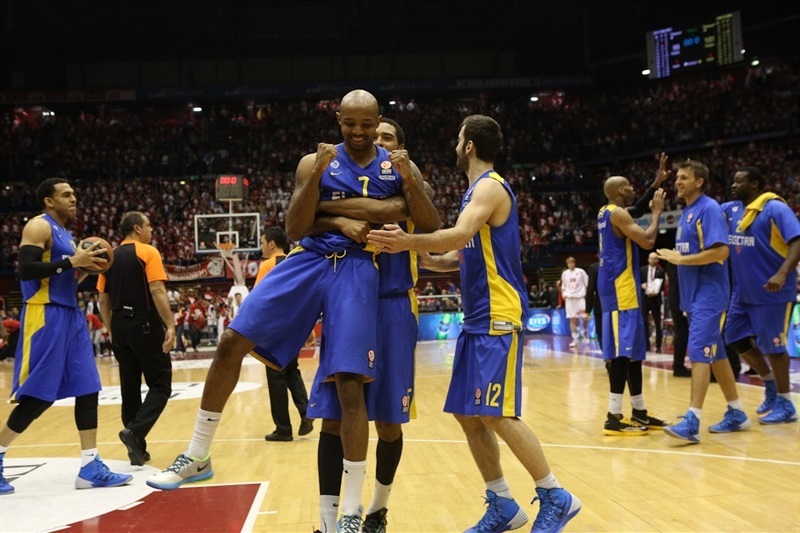 Maccabi Electra Tel Aviv rallied late and into overtime to complete an improbable comeback from 13 points down in the fourth quarter to stun host EA7 Emporio Armani 99-101 on Wednesday at the Final Four venue of Mediolanum Forum in Milan, Italy. 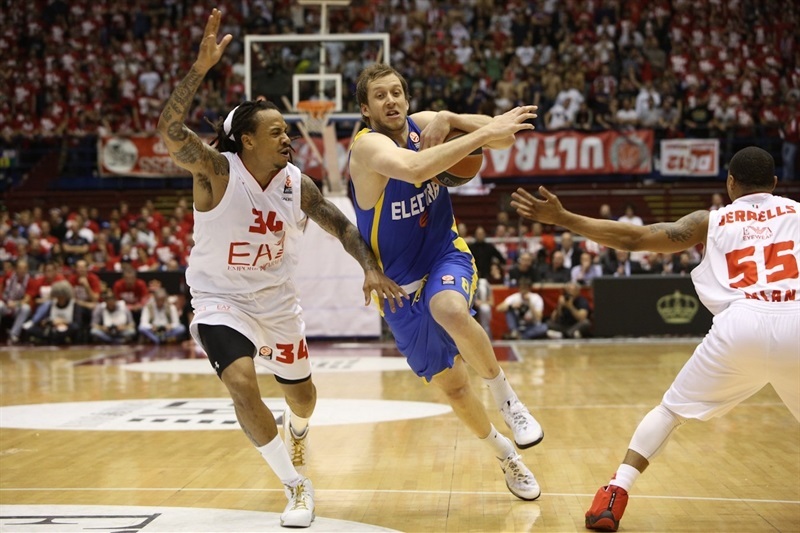 Maccabi made a major step towards reaching the Final Four by erasing Milan's home-court disadvantage to grab a 1-0 lead in the best-of-five series. Milan hit 13 three-pointers, and led in double digits for almost entire second half. David Moss made it 82-70 with under 4 minutes to go in regulation, but Ricky Hickman and Tyrese Rice rallied Maccabi to an 86-87 advantage with 11 seconds left in the fourth quarter. Keith Langford tied it for Milan with a free throws and less than a second left, but when he missed the second, potential game-winner, the game went to overtime, where Rice and Hickman continued doing damage. 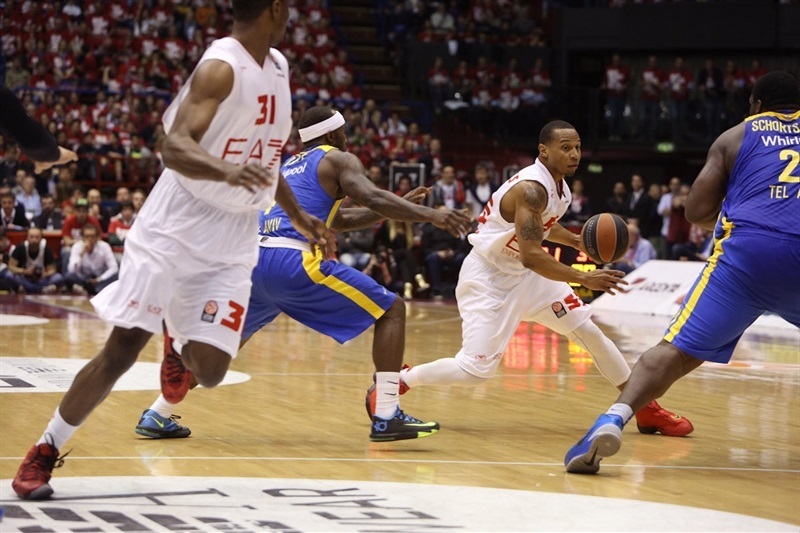 After Curtis Jerrells hit a three-pointer to put Milan in front one last time, 96-95, Hickman remained perfect from the free throw line in the final 30 seconds, securing Maccabi's crucial win. 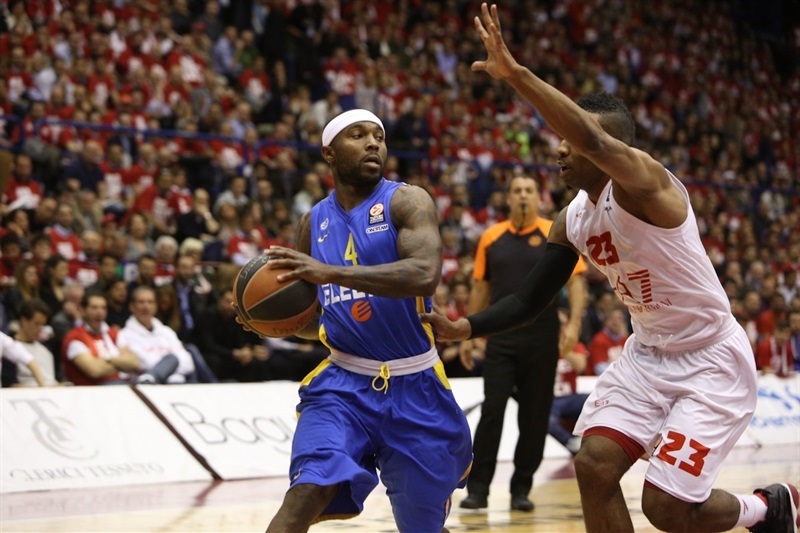 Hickman scored 19 of his 26 points in the fourth quarter and overtime to pace Maccabi. Rice added 17 points, and both made 9 of 9 free throws. Sofoklis Schortsanitis had 17 points in 15 minutes, while Joe Ingles scored 11 in victory. Milan dominated on rebounds, 41-25, and put six scorers in double figures, but came up just short. Langford scored 16 of his 18 points after halftime, Samardo Samuels collected 17 points plus 7 rebounds, while Jerrells netted 15. Gani Lawal had most of his 14 points, 5 rebounds and 3 blocks in the second quarter, Daniel Hackett added 11 points and 6 assists, while David Moss hit for 10 points. Milan hosts Game 2 on Friday night. David Moss and Ricky Hickman traded triples for an exciting start to the game. Daniel Hackett drove for a layup at 5-3, but Schortsanitis bettered him with a layup-plus-free throw, giving a first lead to the visitors, whose lock-down defense made Milan struggle early. 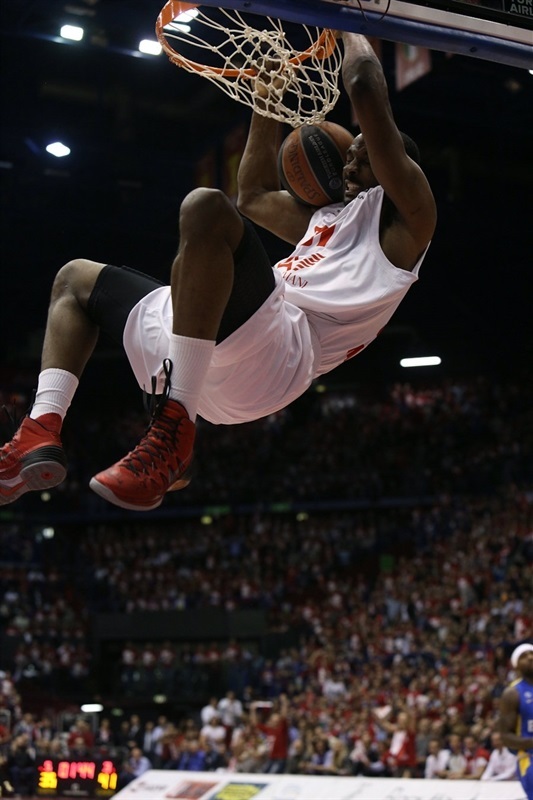 Samuels opened up Milan's floodgates with a jumper, but Schortsanitis scored inside. The two big men continued to exchange ammo as Samuels threw down a huge two-handed slam, and Schortsanitis answered with a reverse layup to make it 9-10. The lead continued changing hands as Moss and Blu traded three-pointers, although the latter's long jumper would put Maccabi up 14-15. 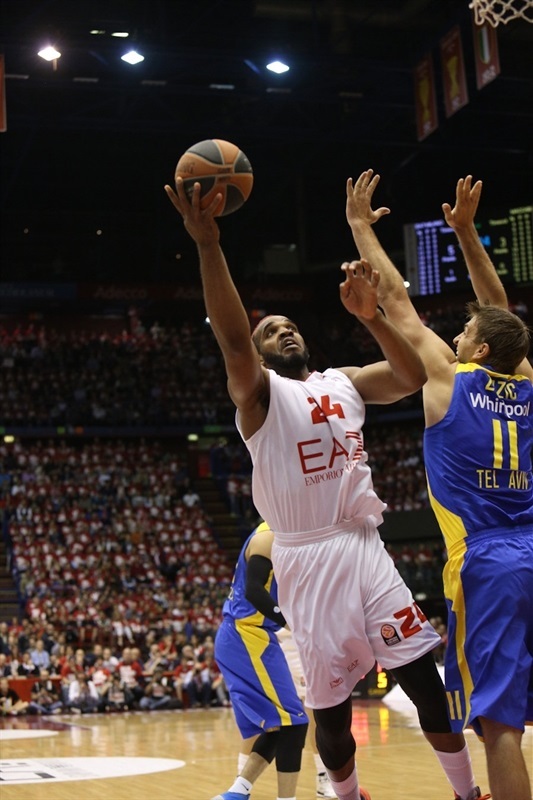 Milan's first surge came when Nicolo Melli sank back-to-back shots from behind the arc. After a layup in response from Blu, Jerells hit Milan’s third triple in as many trips down the floor for a 23-17 lead. Before quarter’s end, Joe Ingles made a pair of foul shots for Maccabi, cutting the difference to 23-19 after 10 minutes. Lawal was all over the floor at the start of the second quarter, string together 8 points on the offensive and blocking a pair of shots on defense. But Maccabi stayed in range of the lead with an easy layup from Smith and a fadeaway jumper from Ingles. Soon, back-to-back threes from Guy Pnini and Ingles helped tie the game at 31-31. 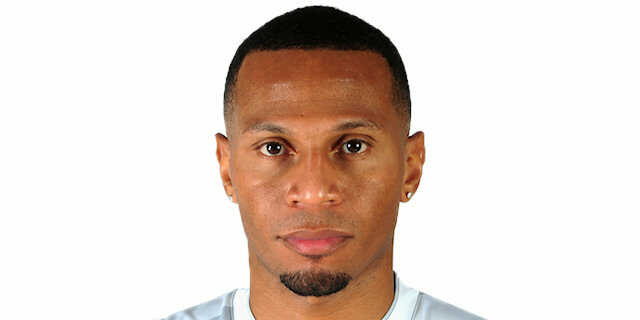 Milan refused to relinquish the lead as Kristjan Kangur and Jerrells knocked down three-pointers at 37-31, with Lawal blocking another shot in between. Hickman scored a layup and Schortsanitis had a monster dunk, adding to the visitors’ tally, but Lawal answered with a pair of dunks on the other end. Tthe second finished a fastbreak and extended the lead to 43-35. After a Maccabi timeout, Schortsanitis had a layup and a dunk-plus-free throw, getting the visitors within 43-40 entering the final minute of the half. 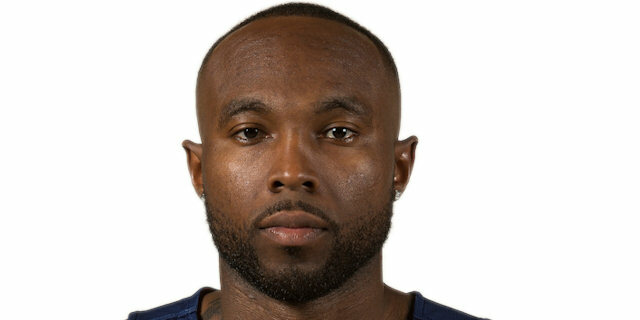 Jerrells then drove for a layup high off the glass, and after Tyrese Rice sank a pair of foul shots, Keith Langford drove for a last-second layup, his first points of the night, giving Milan a 47-42 halftime advantage. Langford hit a three-pointer to start the third quarter. Then, after Hickman’s free throws, Samuels also hit from long-distance. When Langford buried another one from downtown against Maccabi zone defense, it was suddenly 57-45. After a visitors' timeout, a dunk from Alex Tyus was Maccabi's first field goal of the third quarter. 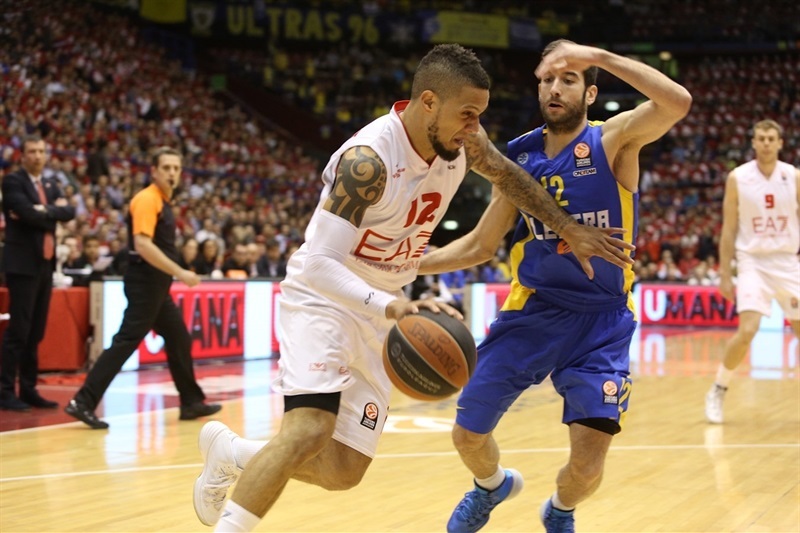 Nonetheless, Melli nailed Milan's fourth three-pointer in a row, extending the difference to 60-47. Maccabi was not going to throw the towel, however. Tyus slammed home an alley-oop pass from Joe Ingles. Still, Samuels inside and Langford from the charity stripe kept Milan's double-digit edge, 64-52. The visitors used full-court pressure for a steal and easy bucket from Ingles, then Tyus added an acrobatic layup, but Langford and Samuels made sure Milan held a 70-58 advantage after three quarters. To start the fourth quarter, Schortsanitis muscled his way to the hoop and Hickman downed a triple to make it 72-63. Sticking with its full-court pressure, Maccabi got even closer as Yogev Ohayon banked in a tough basket. 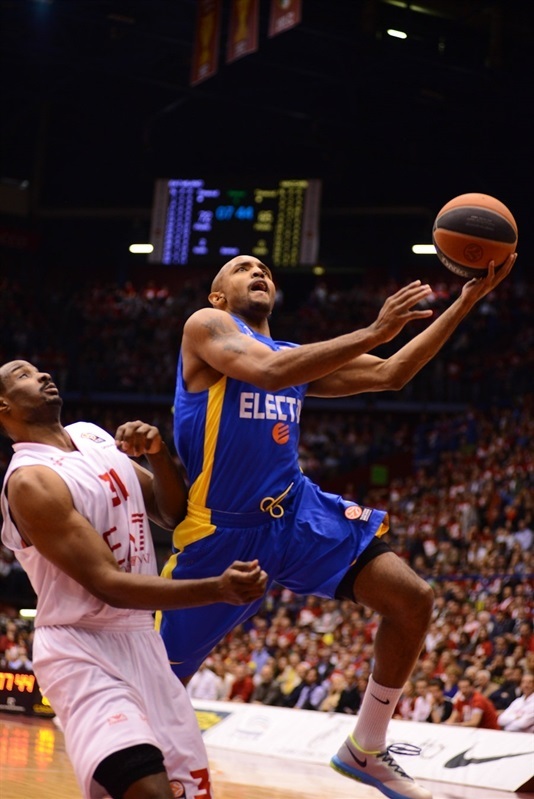 Hackett rescued Milan, driving the lane and feeding Lawal for a slam as the hosts pulled away again, 78-65. Devin Smith beat the shot-clock from way downtown and then Tyus scored inside, but Moss scored 4 points on a triple-plus-free throw that seemed decisive at 82-70. 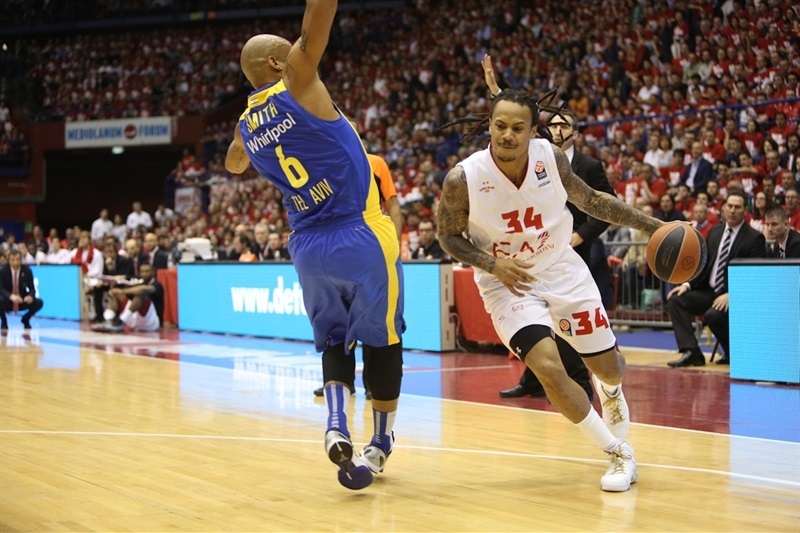 Baskets from Hickman and Rice kept Maccabi’s hopes alive, however. Then, with just under 90 seconds to go, Hickman drove for a layup-plus-free throw to get the visitors within 84-77. Hickman's next shot, a triple, cut the deficit to 84-80 with 31 seconds remaining. After Jerrells split free throws, Melli's unsportsmanlike foul provided new life for the visitors. Rice made 2 free throws then drew 2 more on the ensuing possession, and sank them to get Maccabi within 85-84. Hackett also split his free throws before Rice drove for a layup and the additional free throw to put Maccabi in front, 86-87, with 11 seconds to go. Milan had the last possession of the regulation, and Langford’s first attempt was blocked by Tyus. But Langford finally drew a personal foul with 0.7 seconds to go. He sank the first, but the second free throw was short, and the game went to overtime. Rice hit a jumper to open the extra session, and then threw the ball up for a huge alley-oop dunk from Tyus at 87-91. Milan got on the scoreboard in overtime with Langford from the free throw line, and after Hickman banked a mid-range jumper, Hackett drove to the hoop to make it 91-93. After couple of defensive stops on both ends, Samuels tied the game 93-93 from close range, but Rice quickly replied. 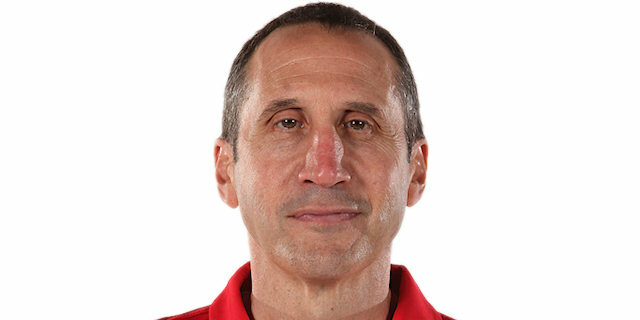 Jerrells sank a shot from downtown to put the hosts in front 96-95, however, the lead was not long lived. Hickman kept his cool, sinking 2 free throws, then Tyus stole the ball from Langford, before Hickman made 2 more foul shots at 96-99 with 11 seconds on the clock. Langford and Hickman hit a pair of free throws apiece. 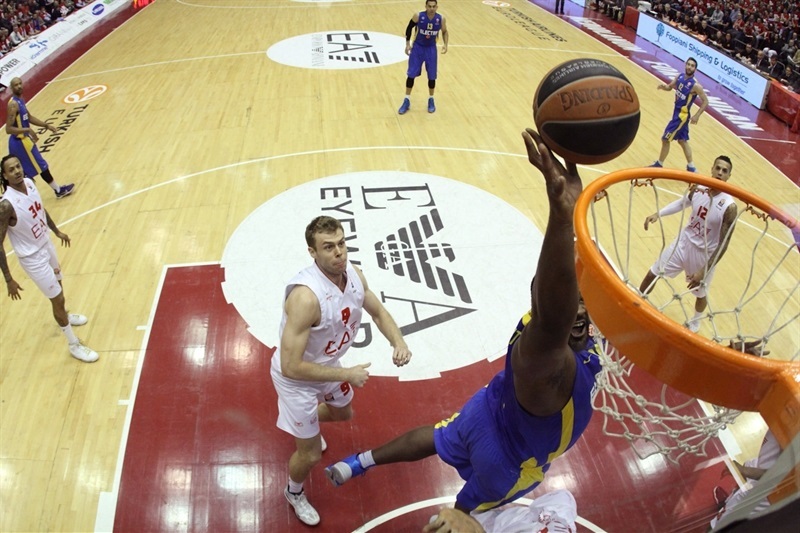 Milan had one final chance, but after Langford purposely missed his second free throw with 2.1 seconds left, Lawal never managed to launch a shot attempt as Maccabi celebrated an improbable victory and 1-0 series lead. "We knew the game would be tough for us. Now, to talk about a defeat, it's difficult to comment. We made mistakes in the finish which made possible their comeback, something that looked impossible just few minutes before. We had the possibility to win the game with seven tenths of a second to go, but we missed it. We are being tested now and we have to increase our level of play, avoiding mistakes. We have to get back our energy, too. You can imagine our frustration now, but tomorrow we'll talk about tonight, because Friday there will be another game. Those hours will be used to put behind us this game and to think about the next one." "A great game! A super game, fantastic comeback. Milan showed for most of the game to be very strong, but when the time came to make some plays and make some things happen on defense, we had our chance. It was a special game. It's unusual to come back at this level in this kind of game. The game is over, there are more games to play, so we have to go back to work tomorrow and think about the next game. There is no time to celebrate." 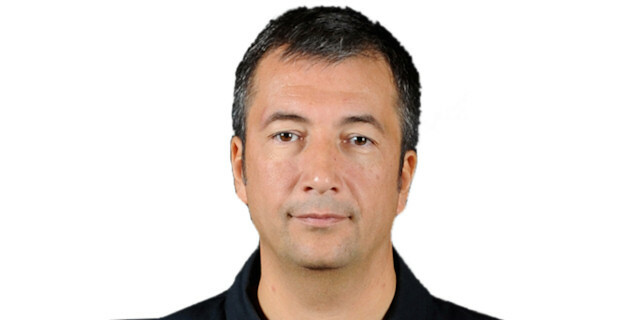 "We had the game in our hands after playing very well for three quarters, then Maccabi raised its defensive pressure and we did not find the way to score. I'm disappointed because we stopped playing at the end. But now there is Game 2 to face and we have to take some points from tonight a look ahead." "It was one the most incredible finales of my career. We never gave up and stayed focused and tuned in. We found the way to come back and then do something unbelievable. I'm happy for this win, but it's just one. We have to continue to stay focused to continue in this way."